Customize your dining experience with menus that celebrate the artisan, handcrafted culinary art. Our private chef services travel to you so we can offer the opportunity to customize your event for any mood or occasion. We specialize in your satisfaction and work with you so your dining experience is as unique and elegant as you desire. Whether it’s an intimate dinner for two or a larger event for 20, we are able to flawlessly design and execute with breathtaking results and a lasting impact. All our menus are handcrafted with purpose and thought for every individual client. Browse through some of our previous creations for inspiration on your own personalized menu or contact us and we will work with you from scratch to build the ideal menu for your unique culinary experience. Since our menu is created for you, we canalways work around any dietary restrictions or concerns. Everything on our menus is sourced local from the same farmers and fishermen we’ve worked with for over 20 years so you always get the best, freshest ingredients straight to your table. Dining is about more than the food consumed. 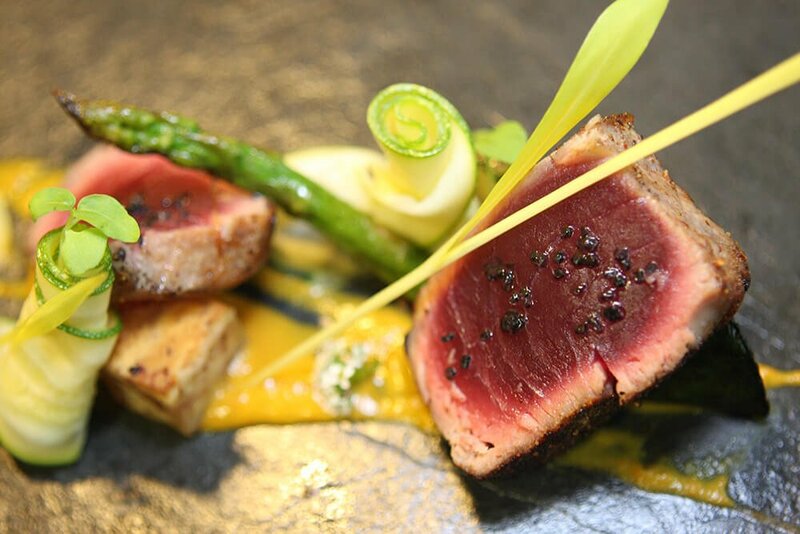 Our private chef services provide the opportunity to delve into a culinary landscape. We pride ourselves not only on our incredible artisanal food but on our meticulous service and our ability to set an exquisite scene for your event or meal. We create a high-end but comfortable atmosphere without pretension.Our team prepares the dining area perfectly so that you and your guests are immersed into the experience, focusing on the food and the occasion. By laying out your dining scene we ensure your occasion is not only an excellent meal but a source of lifelong memories.